Head up in the clouds? Well now you can reach space with our awesome new herbal incense Gravity! This hard hitting herb packs a whopping 20% CBD. Of course, you’ll be smiling in no time with this added to your collection and the added bonus? Gravity is non-NPS so you don’t have to save it for the weekend. 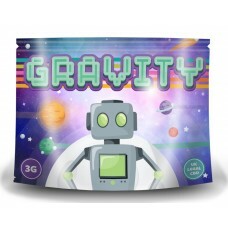 There is one last thing, to buy Gravity 3G you must meet the minimum age of 18 years old. If you don’t, it is against the law to purchase.